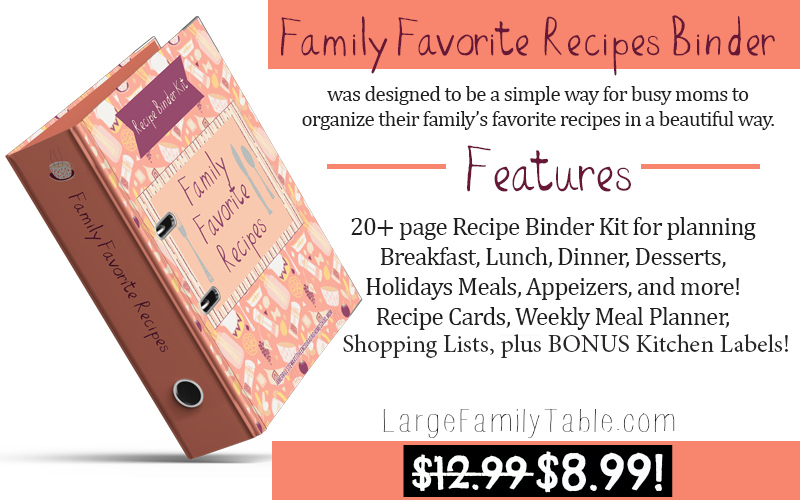 Family Favorite Recipes Binder Kit - Now Available! 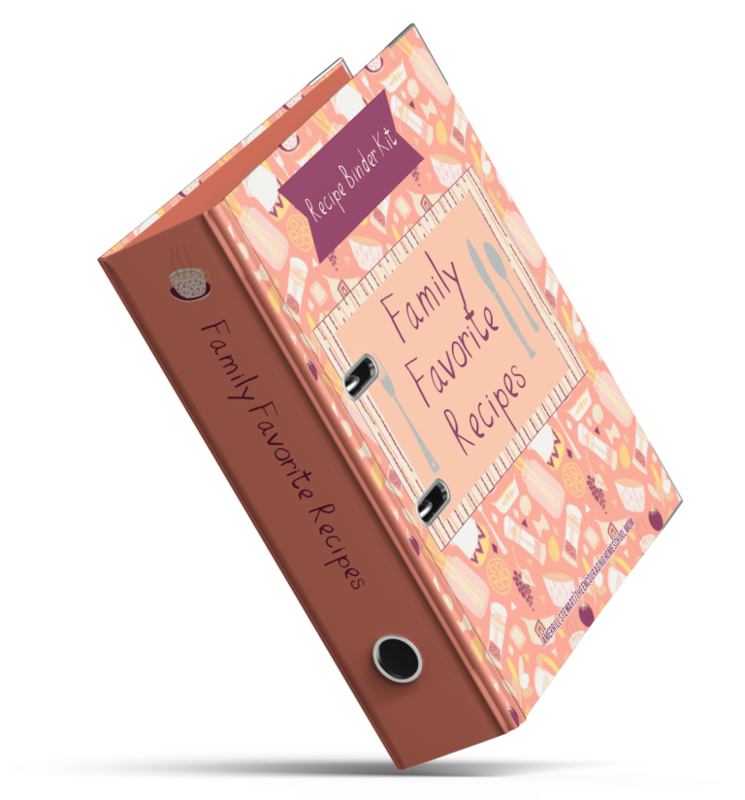 Family Favorite Recipes Binder Kit – Now Available! This made my large family meal planning and grocery hauls more complicated than they needed to be as well. I needed to pull all of my favorite family recipes into ONE location. This way when I sit down to meal plan, make my weekly or month grocery shopping lists, plan for special holiday events and celebrations, or even simply jog my memory on just what to fed these people, I have all the recipes I need in one binder. On the front end you’ll need to invest a small amount of time building your unique Family Favorite Recipe Binder. Once it’s complete it will be an easily organized solution which you can quickly update as needed and make work for YOU! You can copy your favorite recipes onto the included recipe cards. Print multiple copies for all your recipe needs. You can also hole punch your favorite recipe print-offs and insert them into the organized divider categories! Click here to get your Family Favorite Recipe Binder Kit for only $12.99 $8.99! What a wonderful idea! I tried to make one and I didn’t keep it up. I wanted my family to have recipes I make at hand for when I wasn’t home to cook and they could. Yours looks like it would improve what I have so much! Thank you for coming up with this idea for us busy moms!